How do you manage to stay afloat and keep your faith or moral compass in a changing world? How do you find direction when everyone else is panicking and the changes become too big to understand? This channeled book adds new meaning to our existence, and provides clear guidelines on how to create order from chaos by having a different view of the world. 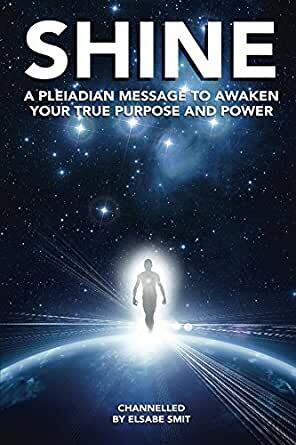 Psychic and author Elsabe Smit received these messages of assurance and explanation from the Pleiades and is finally sharing them with those who are ready to listen and act. Download "Shine: A Pleiadian Message to Awaken Your True Purpose and Power” today, and read or listen to this book on Kindle, computer, tablet or smartphone. 5.0 out of 5 starsEasy to read, yet very profound! Great Book, easy to read, yet very profound! Meditation is a must after each passage. Good messages to help us live happier and healthier lives.